This coffee will be fresh roasted for you. 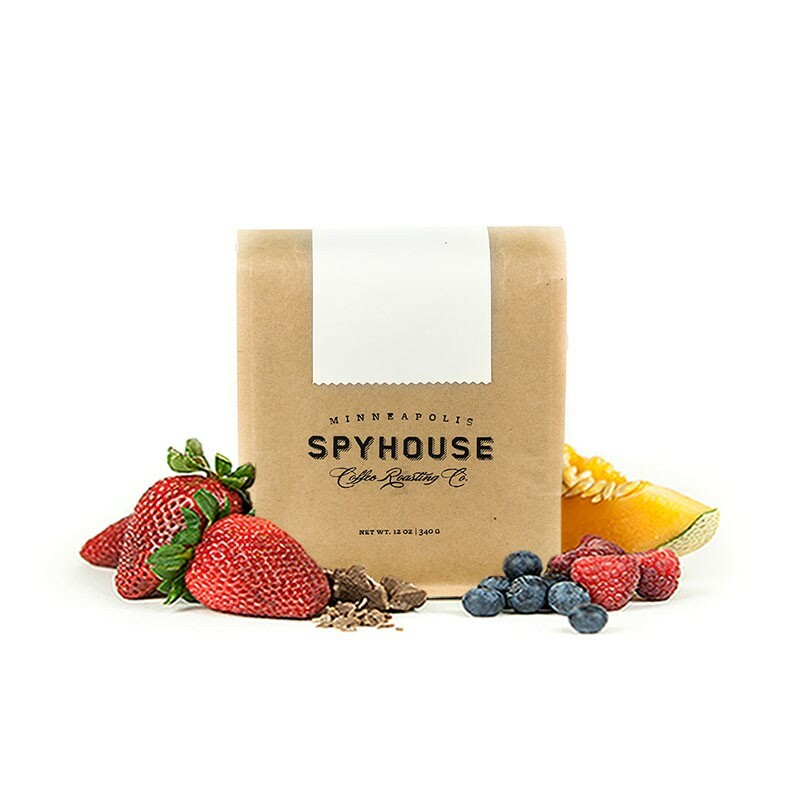 We expect Spyhouse Coffee Roasters will roast and ship this coffee in 1-2 business days depending on their roasting schedule. This is the El Salvador Ignacio Gutierrez brought to you by Spyhouse Coffee Roasters. Grown by the Ignacio Gutierrez in the San Ignacio, Chalatenango region at 1,400 meters, this honey processed coffee is a perfect example of why we love coffees from El Salvador. We love this coffee for its nuanced notes of berries and tropical fruit with a citrus acidity and bright overall quality. At first taste, this bean was super bright- almost overly so. As it has gotten a little farther out from roast date, the acidity level has mellowed and a nice citrusy, pithy tangerine type fruit note has become more prominent. I loved everything about this coffee. Very good coffee. Bright. Good acidity, body and finish. Brewed in the hario V60, top 5 coffee! This is a great coffee. Rich and sweet like I would expect a Central American coffee would be, but more complex and interesting with its tropical fruit notes and pink lemonade finish. Really balanced. Very impressed with this coffee. Maybe the best Central American I've ever had. This is an excellent cup of coffee in the V60. It's incredibly complex and I do pick up on the Raspberry Scone and Papaya notes that Spyhouse says are in this coffee. One thing that I did want to mention is that this coffee was more difficult to detect over-extraction on than other coffees I have brewed. When I did over-extract this coffee, it wasn't terribly bitter and there were some of the tasting notes present. I suspected over-extraction based on total time required for my water to drain through the slurry and so I dialed my grinder courser and then this coffee really opened up! This is a really nice and complex cup. I was happy to get a batch of fresh-roasted beans from my home state of Minnesota, but unfortunately I wasn't as big a fan of this one as I hoped I might be. It is good, but I didn't find much nuance here, whether brewing it hot with a Chemex or V60, or brewing it cold overnight in a five-gallon jar.